Oral health care is very important throughout your entire life. From the time that first baby tooth pops through all the way past obtaining your full set of adult teeth, you need to have proper care for your teeth and mouth. Without the proper and consistent care your teeth can lead to decay, infection and possibly even tooth loss. If you don’t care for your oral health it can lead to overall health issues. Finding a Pediatric Dentist in Port Orange to call your dental home at a young age can help set your dental care up for years to come. Cardiovascular Disease: The bacteria that causes periodontal disease in the mouth, can get in the bloodstream and cause arteries to build up plaque and harden. 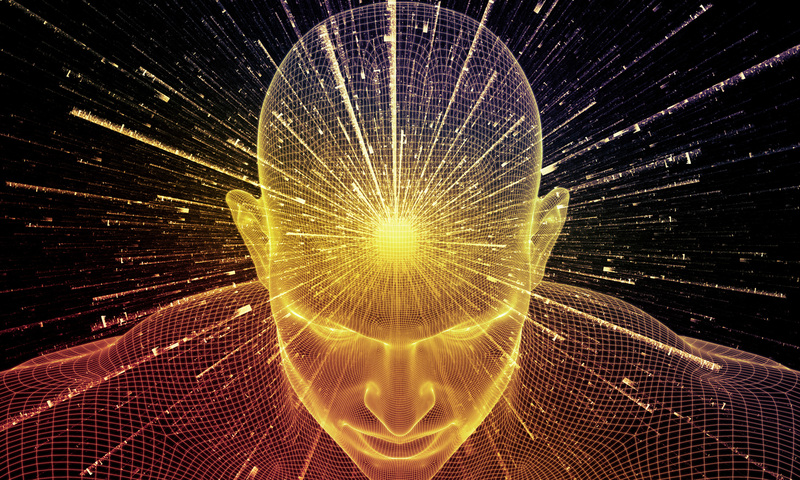 Dementia: Bacteria from the mouth can spread and kill brain cells. Respiratory Infections: Bacteria from the mouth can be breathed into the lungs, or once again, enter the bloodstream leading to respiratory infections. Diabetes: Gum disease can lead to higher blood sugar levels, causing a person to be more susceptible to developing diabetes. Pregnancy Complications: Problems such as periodontitis and gingivitis can lead to premature birth and low birth weight. Cancer: Poor oral health can lead to blood cancers and others. Kidney Disease: Those with gum disease can have weaker immune systems, making it easier to get an infection. Oral infections can spread to the kidneys. Rheumatoid Arthritis: According to the National Rheumatoid Arthritis Society, people with gum disease are four times more likely to have Rheumatoid Arthritis. The bacteria that causes gingivitis causes inflammation and can spread throughout the body worsening arthritis symptoms. So, what do these diseases have to do with young children? The likelihood of a child suffering from any of these health issues at a young age is far less likely than as an adult. However, habits can last a lifetime. Teaching children how to properly care for their teeth at a young age is a something that will follow them into adulthood. Proper oral care will help prevent these from occurring. It is also extremely important to have routine checkups in order to catch any sort of complications early on. If caught early, a lot of oral health issues such as, gum disease, cavities and tooth decay can be diagnosed and resolved with proper treatment. Education: Pediatric Dentists educate children, using child-friendly terminology, on the importance of keeping teeth strong and healthy. They also educate parents on how to aide in proper oral hygiene, disease prevention and good eating habits. Monitor Growth: By tracking children’s oral growth and development, dentists are able to better anticipate dental issues and provide treatment before the issue gets worse. Prevention: Pediatric Dentists apply dental sealants and fluoride to young teeth to help strengthen and protect young teeth. They are also able to help establish good eating and oral care habits for children. Intervention: In the case of oral injury, malocclusion (bad bite), or bruxism (grinding), your Pediatric Dentist may have to step in and provide other oral treatments. Things such as space maintainers, a nighttime mouth guard or possibly even reconstructive surgery may be needed. As stated above, routine biannual check ups along with daily oral hygiene are important to proper pediatric dental care. Cleaning gums and teeth after eating along with twice a day is part of oral hygiene. Help your child clean their teeth until they are old enough to be sure they are properly cleaning them themselves. Good diet also plays a large role in proper oral care. Healthy, low sugar snacks should be offered instead. One common issue children suffer from is baby bottle tooth decay. This term refers to early childhood cavities. Acid-producing bacteria is what causes the tooth decay. One way these bacteria is exposed to children is it is transmitted from parent to child. When the parent shares a spoon, or attempts to clean a pacifier with their mouths, the parental bacteria invades the baby’s mouth. The other most common cause of baby bottle tooth decay is the frequent exposure to sweetened liquids. When liquids such as breast milk, formula and juice are used in a bottle or sippy cup at naptime or bedtime, it heightens the risk. When the sweet liquids remain in the mouth for an extended period of time it can lead to cavities. One way to help combat against this is fluoride treatments. The fluoride puts a protective layer on the teeth protecting the enamel. If your child needs a drink at sleep times, it’s best to provide just water. 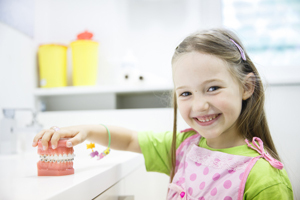 Ensuring children have proper oral care and hygiene is a crucial aspect of overall self-care. Instilling these good habits at a young age will make it easier for them as adults. 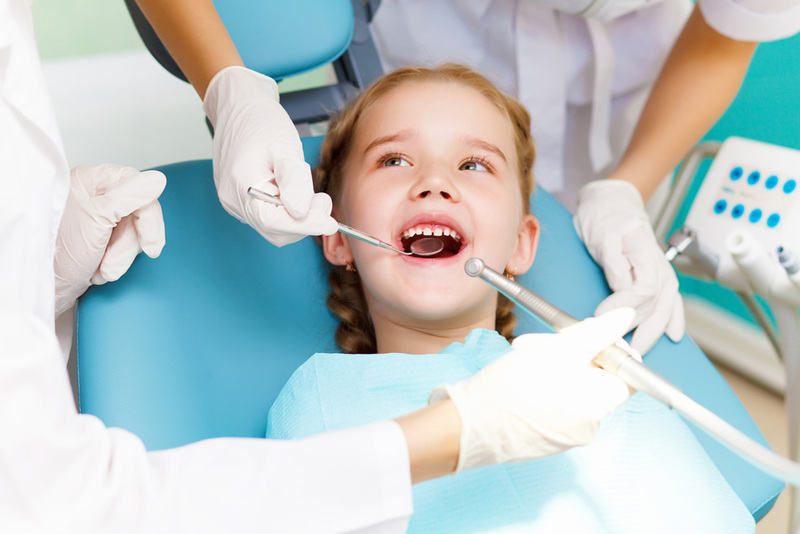 Finding a Pediatric Dentist in Port Orange that you can trust and be able to call your dental home eases the stress and anxiety associated with dental care. Envision Dental in Port Orange has friendly and trusted Pediatric Dentists who take pride in caring for their patients and their oral health. 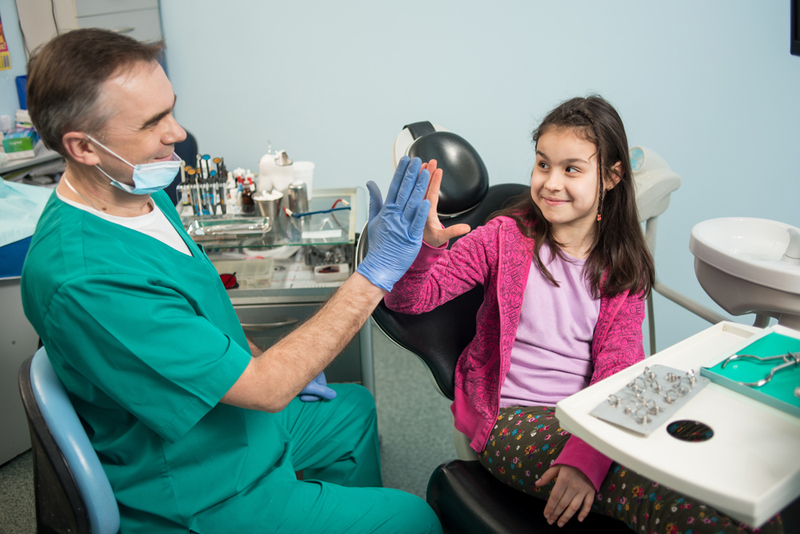 Don’t wait to take your children into the Pediatric Dentist, make your appointment today to make sure your children’s oral health is properly cared for.